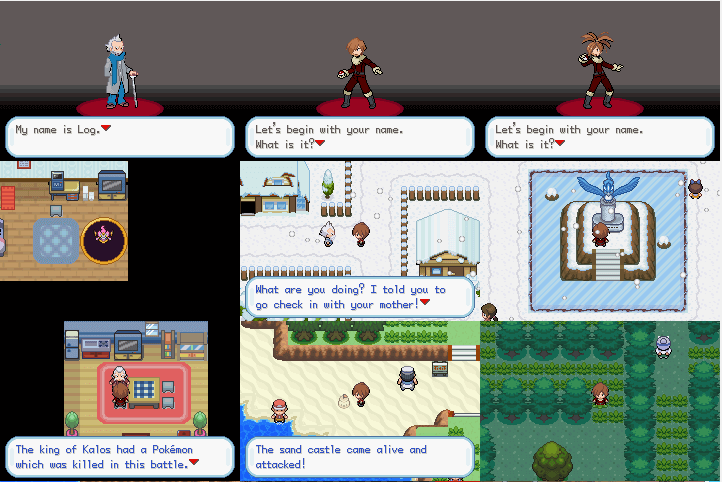 The story of Pokemon Unbound sets in the historic Borrius Region. Many years ago, Borrius region fought Kalos region in a critical battle. To defeat Kalos region, Borrius region unleashed a dark force to help them fight, but unfortunately, Kalos has summoned their ultimate weapon and end up Borrius region in defeat. The war is finally over and the dark force is now sealed to avoid future damages. But, many years later anorganization called “The Shadows” planned to re-release the dark force for their personal interest. You, as a Pokemon trainer with your Pokemon, has the skill to stop the “The Shadows” and save Borrius region from chaos. 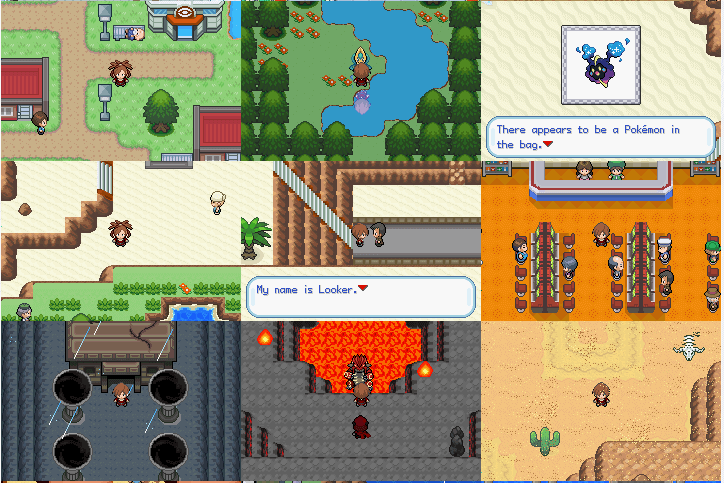 Begin your adventure today, play the game and be a hero in the virtual world of Pokemon Unbound. Game update: Something new had just arrived on Pokemon Unbound that every Pokemon fans shouldn’t miss to check out. The newest version of Pokemon Unbound now includes dozens of new features that will surely enhance the player’s gaming experience. This feature is originally introduced in Generation IV and never in generations I, II and III. Physical/Special split plays an important role in creating good Pokemon movesets, attacks now made more sense. The Mega evolution is the most exciting feature that everyone loves. Introduced in Generation VI that enables a Pokemon to evolve in its mega form during a battle and become even more powerful temporarily. Good thing the feature is now supported in Pokemon Unbound using the usual Mega evolution process. It was a shocking improvement that the has now this very interesting feature. When catching a Pokemon, normally a trainer won’t receive experience points but this has changed with the released of Pokemon X/Y. In Pokemon Unbound, players can now gain experience after capturing a Pokemon as if you have defeated it in the battle. Pokemon Unbound enable players to have a chance to encounter Pokemon from newer generations, not only the usual Pokemon from Generations 3. Pokemon also have updated moves and abilities and includes Fairy type Pokemon. May I ask when to expect an update,this game is one of my all time faves,its just injustice for it not to be finished,don’t mean to be pushy but,push. Hi Alex, I’m totally agree with you, unbound is one of the best Pokemon rom hack. However, regarding when it’ll be finished it is up to the author of Pokemon Unbound. How to play this game? This is .ups file. You need to patch this file to your FireRed rom. We don’t share rom files so you have to patch it yourself. It already 2018 is there are new releases like this? The recent version of Pokemon Unbound was released September 2017. I download it but why i dont see in my GBA…pls rply..
We don’t share rom files, only patch files in ips/ups file formate. You have to patch it yourself with your FireRed rom. 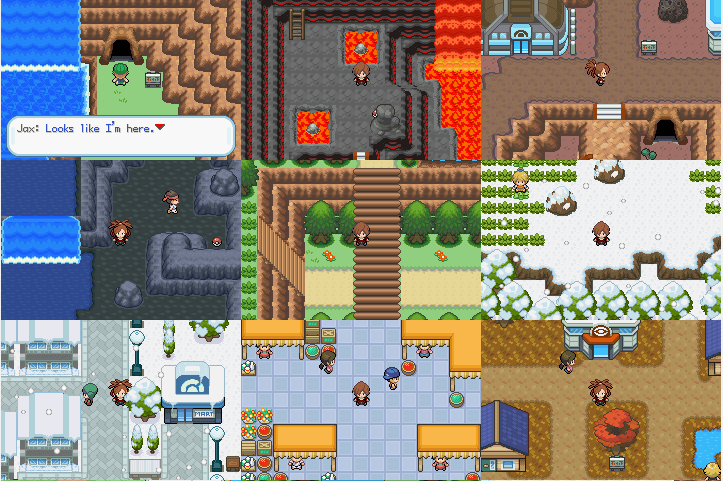 This is a FireRed based rom hack, here’s my list of Fan made RPG maker Pokemon games. Until what gym can you now challenge?. Last time it was only ti’ll second gym. Nope, it’s not yet completed. According to the author, the game is currently 50% complete. how is this compared to USGS? is it an emerald hack? This is a FireRed base ROM hack and this is a good game also. Is there an EXP Share in this game? Hmm. I’m not sure but I guess there is. As of the moment this game is half complete according to its author.